What if your pregnancy lasted five years instead of nine months? In less than two weeks, I will defend my dissertation. In many ways, my dissertation is like my second baby: I formed the idea for the research study, nurtured it, and grew it until it became an independent project all its own. But right now I’m like that pregnant mom who’s in the very last stages of her third trimester: bored with being pregnant and wanting to get to the next stage. I’m not bored of my dissertation topic — the experiences of high school girls at elite boarding schools — but I’m bored of the process. And it has occurred to me how familiar this feeling is — excited and anxious, impatient and annoyed, unsure and exhausted. My son was born almost two weeks past his due date. 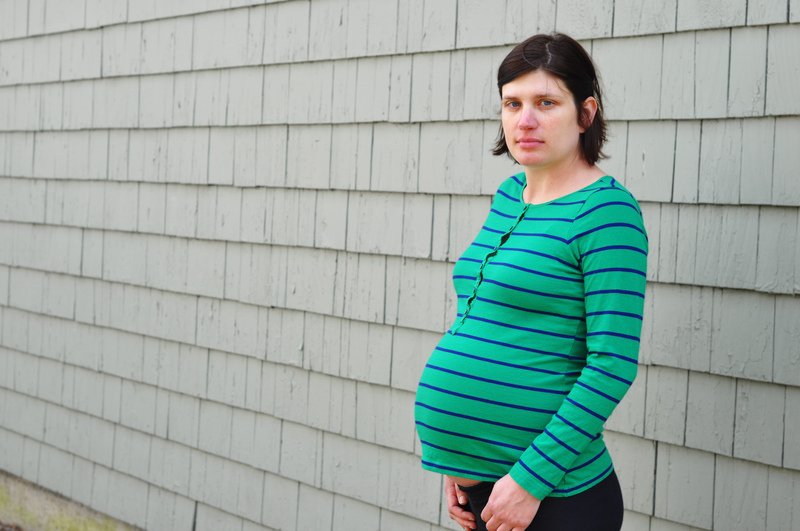 I had a fairly uneventful pregnancy, but the last two weeks were misery. It just went on too long. I was done. I was tired of that feeling of expectation, of waiting. And that’s how I feel now. Pregnancy has other similarities to writing a dissertation. And in my bored moments as I stare at my computer screen looking at my dissertation draft for 100th time, I often think of them. You can calculate a due date, but you find out that this date is meaningless. When I began my doctoral program, I sketched out a time line for finishing my coursework and writing my dissertation. Likewise, the first thing that the nurse did when she told me that I was pregnant was tell me my due date. And I’ve learned that meeting both of those due dates are largely beyond your control. You consult guidebooks, but they’re often contradictory, confusing, and cause unnecessary anxiety. I was the Queen of Pregnancy Books. And I also have about a dozen dissertation writing guides. In both cases, I found that the more that I read, the more anxious that I became about my own condition. Mentors or friends may help you more than the “experts.” I’ve had a positive experience with my dissertation committee and with my adviser. But I must say that it’s other doctoral students and recent graduates who have been in my shoes to be the most valuable. They’re the ones who tell it to you straight because they’ve recently been there. Similarly, I had no complaints about my ob/gyn or her staff. But it was my friends who had recently been pregnant, as well as my sister, who was a few months ahead of me in pregnancy, who provided me with the best support. Don’t be afraid to do it “your own way.” Forget about rigid divisions in “philosophies” — whether they relate to childbirth or research methods. There are a few types of research methodologies that are strongly encouraged by doctoral students in my department. It’s recommended that you try to mix statistical methods with more qualitative, open-ended techniques, such as interviewing or document analysis. (This is called, not creatively, “mixed-methods.”) I didn’t want to do that. I only wanted to hear people’s stories and didn’t want to give surveys or crunch numbers. During my pregnancy, I tried to figure out my own unique plans for childbirth. (Probably no to epidurals, but maybe. Hire a birth doula, but no to most other “natural” childbirth stuff.) But, as most moms can tell you, whatever you’re expecting to happen during labor and childbirth…. It’s going to be completely different, and so…. Finally, childbirth will not be anything like you think. My birth plan included having my birth doula ready to meet us at the hospital. I had practiced breathing techniques. I had my birth ball. I had my iPod playlists. I had spent months doing exercises. I had specific plans for how I would get through early labor, active labor with no epidural…. And, well, let’s just say, when labor hit, hard and strong with no warning or “pre-labor,” I curled up into a fetal position, told my birth doula to go away right now, and refused to do a single exercise that I had practiced for weeks and weeks. Then, at the hospital, when told vaguely where the anesthesiologist’s office was located, I literally tried to run — completely naked — to the anesthesiologist’s room for an epidural with the nurse following me, telling me that I couldn’t run into the hallway without my clothes on. And now, as I think about my dissertation defense hearing as the final stages of labor, I know better. I’m trying to prepare myself for anything. And most of all to remember that the most important thing is for it to be done. What was pregnancy and childbirth like for you? Was it like you expected? Is Natural Birth for You? Childbirth was nothing like I expected and you are truly right about and the epidural was the best thing since sliced bread. It actually never worked properly in my second delivery and pretty much delivered naturally with no epidural, because of that, but still when it did work the first time out it was pure heaven!! Thanks for linking up with us and so happy to have you share in the fun today!! 🙂 Good luck with your dissertation, too!! You’re right! Epidurals are the best thing since sliced bread. I was so happy after the epidural that I just laughed like a child on Christmas morning. Brilliant allusion Jessica! I think you really captured what this experience has been like for you. As for childbirth, my first one was not at all like I had hoped; the second one I got lucky. I am SO glad you linked up with FTSF-hooray! You make a great addition to the club! That’s great that you managed to keep your sense of humor! I ended up having an emergency c-section, and I must say that — by that point — I was fairly humorless! Yes, it is such a meaningless date, but I ended up still thinking that this somehow going to THE DAY. I’ve read only a tiny fraction of women end up delivering on their actual due date. I love how you’ve compared your dissertation to your pregnancy…it’s all so true! My mom did a dissertation and I recall how taxing the process was on her. And by the way, your dissertation topic sounds fascinating! As for pregnancy and childbirth, you are right — I didn’t expect to LOVE being pregnant so much, all 3 times. On the other hand, after a blissful pregnancy, I certainly didn’t think I’d end up having a c-section with my first child and then equally as surprising, a VBAC with my 2nd and 3rd. So yes, you never know – you must be prepared for anything. Great post! I guess the lesson is — no matter what big “life change” you’re expecting — be prepared for anything! Oh, no, Wendy! I hope that doesn’t happen to me. I’ve been waiting for “feedback” for weeks. It’s true that the dissertation process is so much in the hands of other people. And it’s so much about personalities. Thanks for the good wishes! I haven’t been pregnant for many years. I don’t remember what I expected at the time. I sure it was totally different than I expected the first time, and each time after. I am visiting from FTSF blog hop. I am following you on BlogLovin. Betty Boop recently posted…Friday Friends – When I Was Bored Out Of My MInd!! Let’s hope your dissertation is less painful and just as rewarding as pregnancy. And I can’t believe you were two weeks over your due date! Ugh. Perfect analogy using being pregnant and giving birth to your dissertation. And Thank God for epidurals. And you’re so right that whatever you’re expecting – it will be completely different. I ended up being put on bed rest 1/2way thorough my pregnancy. Not fun and not what I expected at all. Great analogy! Like you, I’ve now done both a dissertation and had a baby (with another on the way). I never thought about it before, but both are long, involved processes that don’t often go as planned. Interestingly, having done either gave me a lot more confidence in other areas of life (in different ways). Although neither went exactly as planned, I did feel like I had a lot more control over the dissertation and defense than childbirth :). Have a child in general has taught be to not get too attached to my own plans. Good luck on your defense! Yes, you definitely have MORE control over the dissertation process, that’s for sure! Not complete control, but more than you do over when a human being is going to come out of your body! Just remember to wear your clothes when you defend your dissertation! This was a great post, such a reminder of the things we can’t know. Jen recently posted…One Time When I Was Bored out of My Mind I…..
Great post! I was NOT a happy pregnant person at all. But I have to say – if I had to choose between pregnancy and dissertation – I’d choose pregnancy! Yeah, I don’t know about that, Julie. It’s easier to pretend that you’re not writing a dissertation than it is to ignore a pregnancy. Especially at 3 a.m. when you’re wide awake and have to pee for the 10th time that night and have leg cramps and can’t get comfortable and are suddenly ravenously hungry.